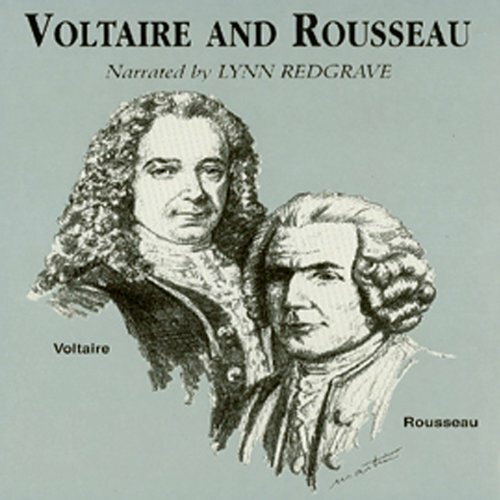 In the great ferment of the French Revolution, Voltaire and Rousseau stood out as intellectual giants. Voltaire's incisive wit and commitment to translucent reason stands in sharp contrast to Rousseau's earnest convictions and attention to emotion. Both thinkers produced work of enduring value in morality and political philosophy. The World of Philosophy series presents the questions, interests, and worldviews of the world's great philosophers and philosophical traditions. Special emphasis on clear and relevant explanations, in understandable language, give you a new arsenal of insights toward living a better life. Very valuable lessons to help understand the now failing government. I have listened to this now.